The band achieved widespread recognition with their fantastic third album, Slippery When Wet, which was released in 1986. They followed up Slippery when Wet with a fourth album New Jersey, which was released in 1988, and became just as successful as its predecessor. Bon Jovi went onto achieve thirteen U.S. Top 40 hits between 1986-1995, including four number-ones including You Give love a Bad Name“”, “Livin on a Prayer“, “Bad Medicine“, and “I’ll Be There for You”. Other hits include Keep the Faith ”Wanted Dead or Alive” ”Bed of Roses” Have a Nice Day and “Always”. Their 2000 single “, It’s My Life“, successfully introduced the band to a younger audience. Bon Jovi have been known to use different styles in their music, including country for their 2007 album Lost Highway which debuted at number one on the Billboard 200. Since then they have also released The albums, The Circle, Access all Areas, This House is not For Sale, Rocking live in Cleveland, the Left Feels right, What About Now, Burning Bridges and Legendary FM Broadcasts plus many others. Throughout their career, Bon Jovi have released numerous studio albums, three compilation albums and one live album, and have sold 130 million records worldwide. They have performed more than 2,700 concerts in over 50 countries for more than 35 million fans. Bon Jovi was inducted into the UK Music Hall of Fame in 2006. The band was also honoured with the Award of Merit at the American Music Awards in 2004, and as songwriters and collaborators, Jon Bon Jovi and Richie Sambora inducted into Songwriters Hall of Fame in 2009. Alan Lancaster, The ex-bass player and founding member of rock band Status quo was born 7 February 1949 in Peckham, London, England. As well as contributing to songwriting, he was also one of the lead vocalists on albums and live concerts taking the lead on tracks such as “Backwater”, “Bye Bye Johnny”, “High Flyer” and “Roadhouse Blues”, etc. Alan Lancaster formed the group in 1962 with his then schoolmate Francis Rossi under the name “The Scorpions at Sedgehill Comprehensive School, Catford, along with classmates Alan Key (drums) and Jess Jaworski (keyboards). Rossi and Lancaster played their first gig at the Samuel Jones Sports Club in Dulwich, London. In 1963, Key was replaced by John Coghlan and the band changed name to “The Spectres” And in 1964 they met Rick Parfitt who was playing with a cabaret band called The Highlights. By the end of 1965, Rossi and Parfitt, decided to work together. On 18 July 1966, The Spectres released two singlesq, “I (Who Have Nothing)” and “Hurdy Gurdy Man” (written by Alan Lancaster), and one the next year called “(We Ain’t Got) Nothin’ Yet” (a song originally recorded by New York psychedelic band The Blues Magoos) and Parfitt joined the band in 1967 Bwhich time the group had discovered psychedelia and changed their name to Traffic, and Appeared on BBC Radio’s Saturday Club. They released another single “Almost But Not Quite There” in 1967, the band became The Status Quo and in January 1968 released the psychedelic-flavoured “Pictures of Matchstick Men”. This was followed by, “Black Veils of Melancholy” and, “Ice in the Sun”. Following Their second album Spare Parts the band abandoned pop psychedelia and Carnaby Street fashions in favour of a hard rock/boogie sound, faded denims and T-shirts, an image which was to become their trademark throughout the 1970s. Lynes left the band in 1970 and was replaced by guests including keyboard player Jimmy Horowitz and Tom Parker. By 1976, ex-The Herd, Judas Jump and Peter Frampton Band member Andy Bown played keyboards but he was not credited as a full-time member until 1982. After two relatively poor selling albums, Ma Kelly’s Greasy Spoon and Dog of Two Head in 1970 and 1971, their major breakthrough came when they signed with the heavy rock Label Vertigo And released the album Piledriver, in 1972. Some of their most popular songs include“Paper Plane”, “Caroline”,”Down Down”, “Rain”, “Rockin’ All Over the World”, “Whatever You Want”. From 1977, the band’s sound became more polished as they began to employ outside producers including Pip Williams, Roger Glover, and John Eden. Glover was the first outside producer to work with Quo since Pye’s John Schroeder in the early 1970s, and produced “Wild Side of Life” and its B-side “All Through The Night” in 1976.1977’s Rockin’ All Over the World’s title track, a minor hit for its writer John Fogerty (formerly of Creedence Clearwater Revival) became one of Status Quo’s most enduring anthems. sadly tensions within the band saw founding member John Coghlan leaving the band late in 1981. His replacement was Pete Kircher from the 1960s pop band Honeybus.This line-up played its last full-length gig in 1984 at the Milton Keynes Bowl, and Status Quo’s final appearance with the Kircher line-up opened the Live Aid charity event at Wembley in July 1985. In 1985 Rossi recorded and released two solo singles with long-time writing partner Bernie Frost. Parfitt also recorded a solo album, Recorded Delivery, with bass player John “Rhino” Edwards and drummer Jeff Rich. The album remains unreleased, In 1985, Rossi, Parfitt and Bown, along with Edwards and Rich, started work on a new Status Quo album. However Lancaster. took out a legal injunction to stop the band from using the Status Quo name on any records, including the 1983 album Back to Back citing increasing musical differences, specifically the songs “Ol’ Rag Blues”, and “Naughty Girl”. An out-of-court settlement was made in January 1986, enabling the new Status Quo to continue recording the In The Army Now album, and “Naughty Girl” was reworked as “Dreamin’”. Lancaster remained in Australia, and in 1986 joined an Australian super group, The Party Boys, which featured Angry Anderson of Rose Tattoo, John Brewster of The Angels and Kevin Borich, but achieved little success outside Australia. Lancaster left Status Quo formally in 1987. His final performance as a full-time member of Status Quo was at Wembley Stadium on 13 July 1985 for the opening of Live Aid. In March 2013 he collaborated with his old bandmates for a series of “Frantic Four” concerts in the UK. They all sold out except for the last date at Wembley Arena. Following “Live Aid”, Lancaster’s relationship with Francis Rossi became increasingly strained, when Francis Rossi and Rick Parfitt covertly began recording a new album under the name of “Status Quo”. Lancaster was then substituted with session musician John ‘Rhino’ Edwards, who remains Quo’s bassist to this day. Prompting both Lancaster and Phonogram Records Limited to apply for an injunction to protect their interests in the Status Quo name. In March 2010 Lancaster and Rossi met in Sydney leading to speculation that the original line-up was reuniting. This was later denied by current bassist, Rhino, who, speaking of him with the greatest respect, explained in an interview that Lancaster was in poor health and unable to participate in any such reunion. However his health improved and it was announced that the classic “Frantic Four” line-up of Francis Rossi, Rick Parfitt, Alan Lancaster and John Coghlan would perform a series of concerts together in March 2013. The concerts sold out instantly, and it is rumoured that there will be a new album from this line-up in the coming months. He is also included in a brief cameo role as a ‘Hotel Porter’ in the Quo’s comedy caper ‘Bula Quo!’. as well as appearing in the documentary on Status Quo, titled Hello Quo. IN 1865, Dickens was involved in the Staplehurst rail crash. The first seven carriages of the train plunged off a cast iron bridge under repair. 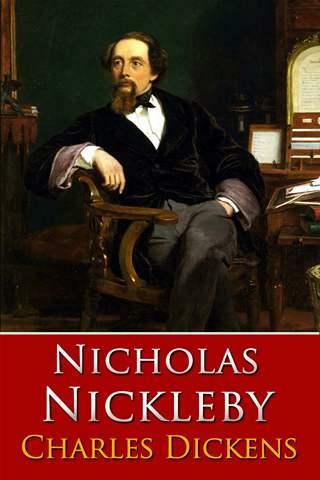 The only first-class carriage to remain on the track was the one in which Dickens was travelling. This inspired the short ghost story The Signal-Man in which the central character has a premonition of his own death in a rail crash and is based around several previous rail accidents, such as the Clayton Tunnel rail crash of 1861. 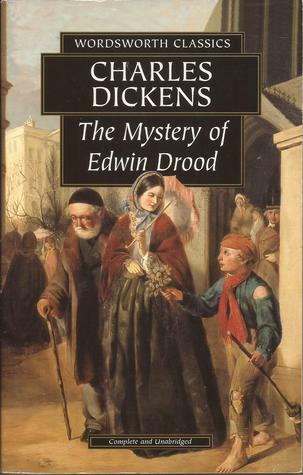 The Staplehurst crash deeply traumatized Dickens, and his normally prolific writing shrank to completing Our Mutual Friend and starting the unfinished The Mystery of Edwin Drood. 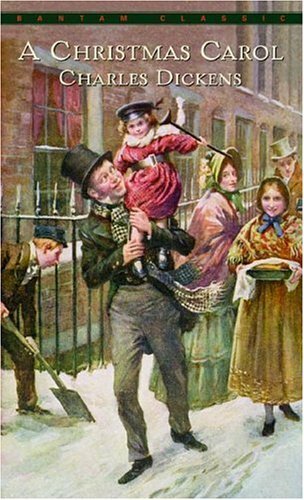 In 1867 Dickens sailed to America and met Ralph Waldo Emerson, Henry Wadsworth Longfellow and his American publisher James Thomas Fields. Five days after Dickens’s interment in the Abbey, Dean Arthur Penrhyn Stanley also delivered a memorial eulegy. Dickens’s will stipulated that no memorial be erected to honour him. The only life-size bronze statue of Dickens, cast in 1891 by Francis Edwin Elwell, is located in Clark Park in the Spruce Hill neighbourhood of Philadelphia, Pennsylvania in the United States. The couch on which he died is preserved at the Dickens Birthplace Museum in Portsmouth. 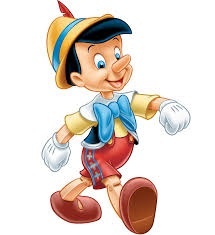 Walt Disney’s Classic animated motion picture Pinocchio was released on 7 February 1940 by RKO Pictures. Pinocchio concerns an old Tuscan wood-carver named Geppetto who carves a wooden puppet named Pinocchio. The puppet is brought to life by a blue fairy, who informs him that he can become a real boy if he proves himself to be “brave, truthful, and unselfish” and assigns Jiminy Cricket to be his conscience. However Pinocchio’s path to becoming a real boy is fraught with danger and he encounters many unsavoury characters along the way, who try to tempt him astray, including Honest John the Fox and his companion, Gideon the Cat, who despite Jiminy’s objections, convince him to join Stromboli’s puppet show instead of going to school, Pinocchio is very enthusiastic to join Stromboli’s as it sounds much more glamorous and exciting than boring old school. At Stromboli’s he becomes the star attraction performing alongside marionettes of Dutch girls, French can-can girls, and Russian Cossacks. However Jiminy learns Stromboli’s is not as much fun as it looks. Then Honest John and Gideon meet a coachman who promises to pay them big money if they can find foolish little boys for him to take to Pleasure Island. So Honest John and Gideon convince Pinocchio that he needs a holiday on Pleasure Island where everything is allowed and Whilst on Pleasure Island he befriends Lampwick. However With no rules or authority to stop them, Pinocchio gets in with a bad crowd of Juvenile delinquents who lead him astray and encourage him to start gambling, smoking, getting drunk, and generally running amok, much to Jiminy’s dismay. Meanwhile Jiminy discovers that the so-called pleasures on Pleasure Island are indeed Too Good to be true and that any boy making a jackass of themselves faces a terrible fate.